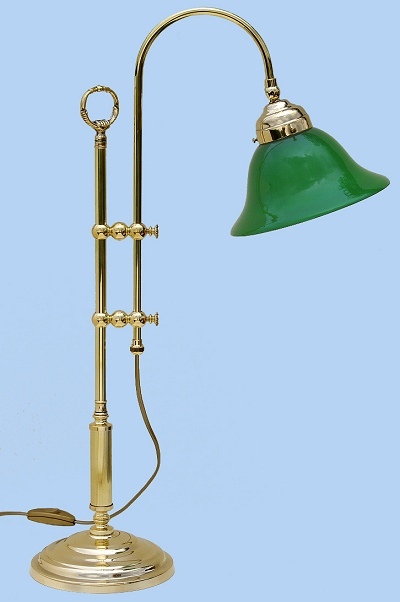 "Saliscendi" brass lamp is ideal for writing-desks. You can control the height thanks to its moving arm. The bulb looks down and You can regulate the angle of inclination. 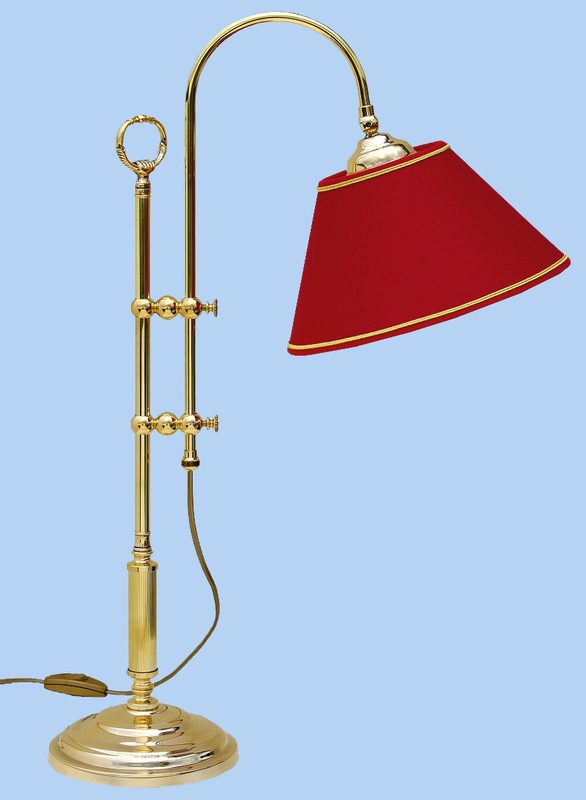 Max height of the lamp = cm 67 - diameter of the lampshade = cm 25. Price: Euro 116.00 (including lamp-shade).